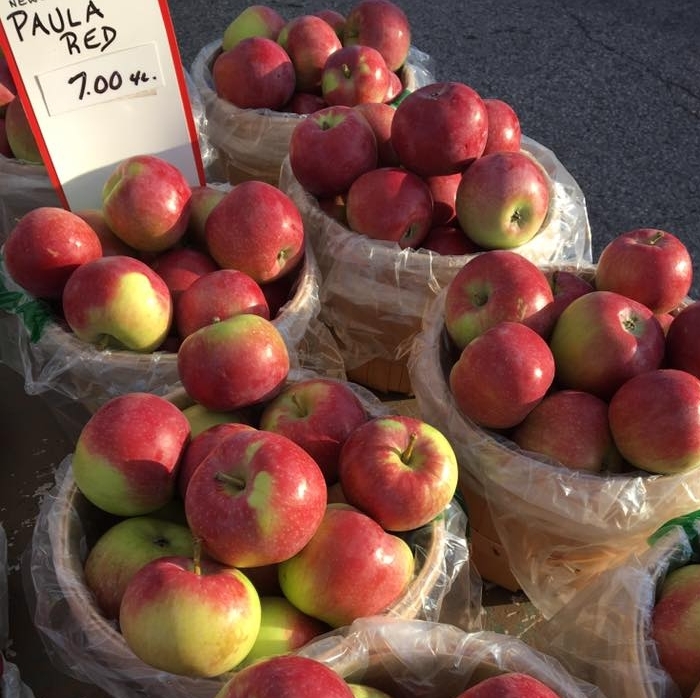 All primary producers at the Peterborough Regional Farmers' Market grow or produce 100% of the product they sell. Each vendor is third party verified. Follow the links under our vendor profile pictures to view certifications and verifications. 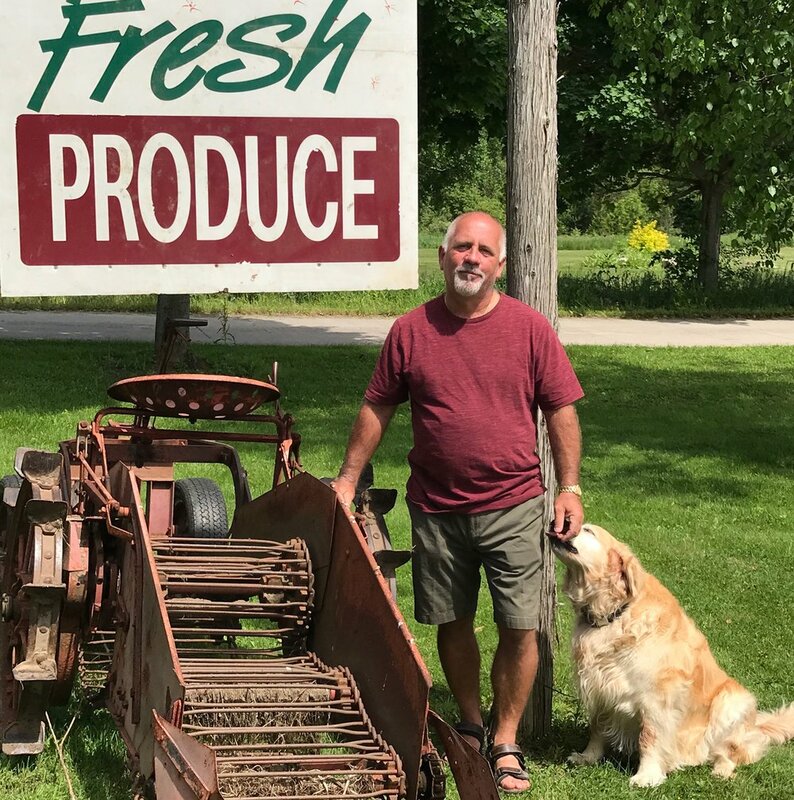 The Peterborough Regional Farmers' Network also enjoys the great privilege of visiting all vendors at their farms to build a connection and level of trust, which we can then pass onto our customers with utmost confidence. We believe in transparency and providing our community with local food we can all trust. We are a family run farm located along Hwy 115 in Newcastle. We are growers of 26 varieties of apples, pears, plums, and various vegetables. We have been growing quality fruits for over 50 years and have an on site store that is open seasonally. Products: Apples, pears & plums. Chick-a-biddy Acres is a bona-fide small farm growing authentic, hand-made food! From the seed to your plate, we pour our hearts and backs into it, along with a healthy dose of muscle, guts and luck :) We keep people connected to their food through the CSA program, and teach interns how to get back to the land using a sustainable, ecological approach to farming. Products: Spinach, Mesclun Mix, Arugula, Radish, Spring Turnip, Garlic Scapes, Herbs, Swiss Chard, Basil, Beets, Broccoli, Potatoes, Cabbage, Lettuce, Hot Peppers, Peas, Scallions, Tomatoes, Zucchini, Carrots, Cucumbers, Peppers, Onions, Beans, Ground Cherries, Tomatillos, Eggplant, Celeriac, Collards, Kale, Leeks, Tat Soi, Winter Squash, Pumpkin, Brussel Sprouts, Cauliflower, Flowers. Circle Organic is a four-season organic vegetable farm in Millbrook, Ontario. We grow a wide range of high quality, nutrient-dense vegetables, fruits and herbs, which we distribute through our Community Shared Agriculture (CSA) program and various farmers’ markets. We are certified organic by Pro-Cert. As land stewards and advocates of good health, we aim to grow our food to the highest ecological and nutritional standards. Together with our community, we are working to create a local food system that is resilient, restorative and nourishing. Products: Arugula, Asparagus, Basil, Beans, Beets, Bell Peppers, Bok choy, Broccoli, Cabbage, Carrots, Cauliflower, Celeriac, Collards, Cucumber, Edamame beans, Eggplant, Fennel, Garlic, Herbs (Basil, Cilantro, Dill, Parsley, Thyme, Rosemary, etc. ), Kale, Kohlrabi, Leek, Lettuce, Micro-greens, Napa cabbage, Onions, Parsnip, Peas, Potatoes, Pumpkin, Radicchio, Radish (summer/winter), Rhubarb, Rutabaga, Salad mix, Salad brassica mix, Scallions, Spinach, Squash winter, Squash summer, Swiss chard, Tomatoes, Turnip, Zucchini, Blackberries, Raspberries, Strawberries, Watermelon, Compost mix. Tyler, Erin and their sapling Cypress are a family of foragers, market gardeners and outdoor enthusiast. Their journey began when volunteering on a variety of farms while traveling and woofing around Canada, South America, Asia, and the United States. 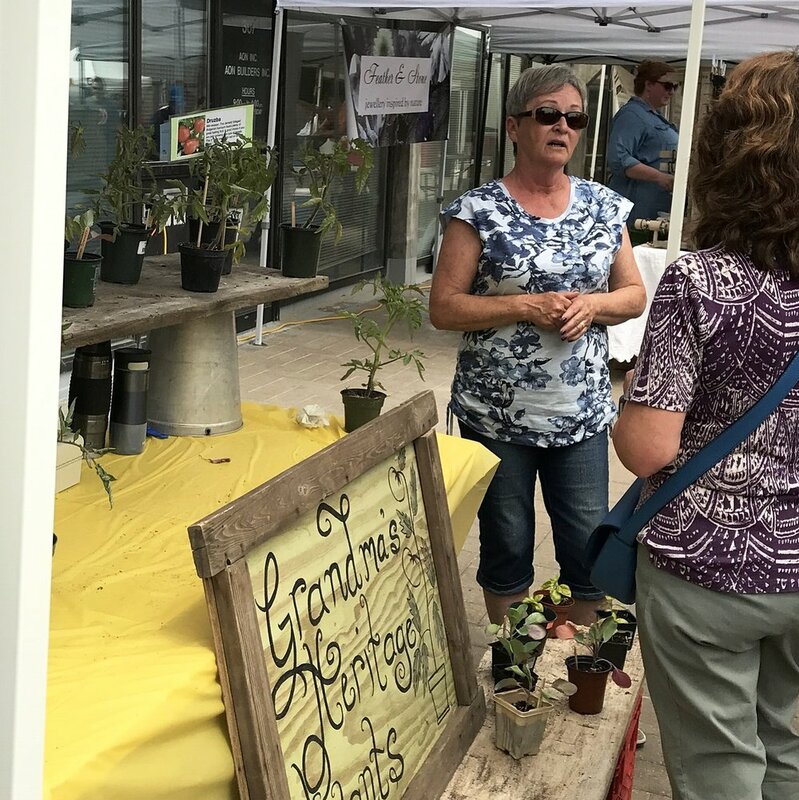 They brought their knowledge back to their home town and began a volunteer group called We Grow Food where folks from around the neighbourhood would come together to help each other start backyard gardens and create a support group for people starting their first garden. With Erin’s background in a decade of wildcrafting and farm to kitchen-style cooking, within her community she offers Foragers Farms catering (wild/cultivated food), along with gardening alongside Tyler while raising their beautiful son at their yurt homestead. In her past she has helped start-up and run sustainably-minded restaurants like Lil Organic Kitchen Whitby/Cobourg, Cruda Cafe Toronto, Coco y Chia Mexico City, and Living Foods Malaysia. Tyler has a background as a tradesman and applies his welding/building skills to designing the farms infrastructure. A ninja at heart, he loves combining the natural movement of our bodies with his passion for growing food for Foragers Farms. His passion for living close to the land has his knowledge focused on homesteading and survival skills. 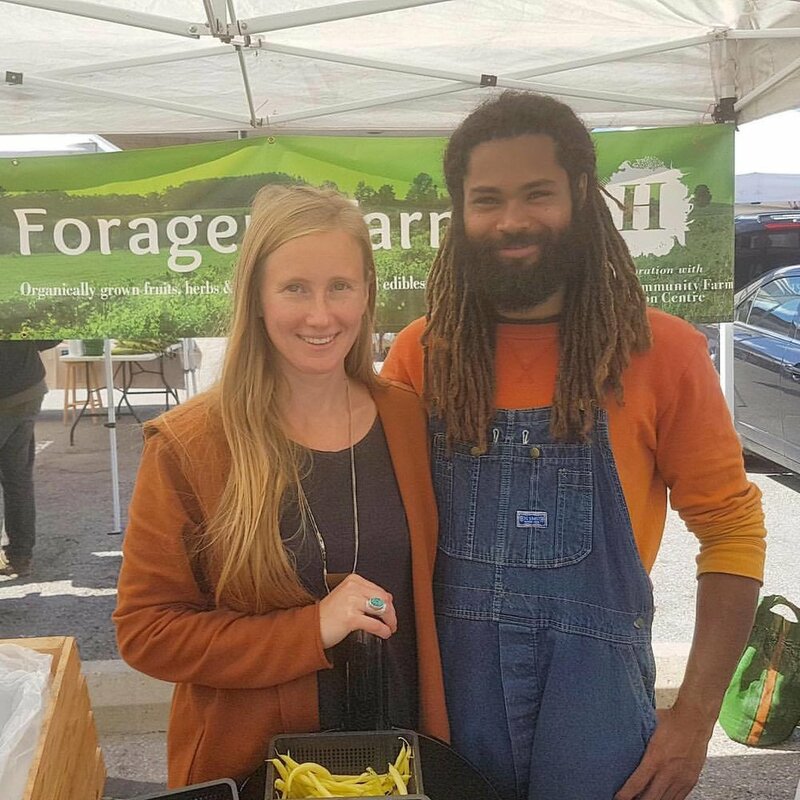 Together, Erin and Tyler are the heart and soul of Foragers Farms. They decided to collaborate with partners Headwaters Community Farmand Education Centre in Cobourg Ontario to broaden their horizon with a solid team of enthusiastic growers, teachers, mentors, interns, and volunteers. 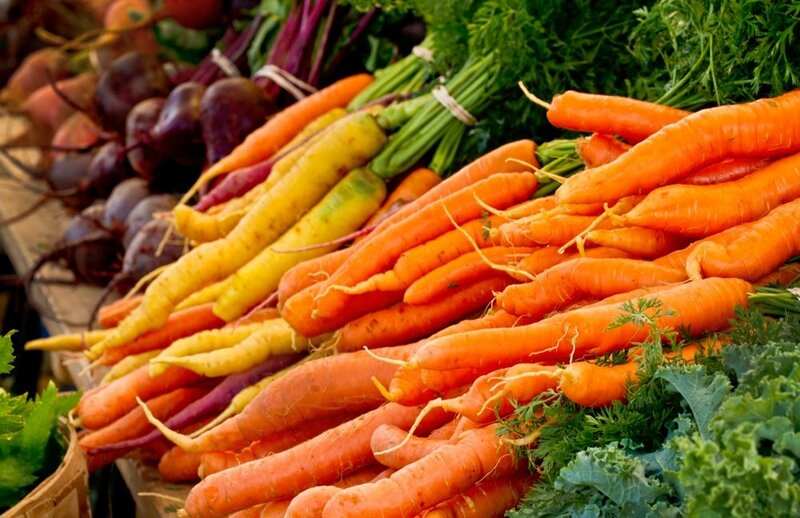 Products: Radish, carrots, beets, turnips, tomatoes, cucumbers, peppers, eggplant, squash, corn, mushrooms, lettuce, peas, beans, Onions, scallions, cilantro, dill, parsley, spinach, broccoli, kale, swiss chard, bok choy, cabbage, garlic. Wild foraged goods such as salves, balms, dried herbs for tea. We are a small mom and pop naturally grown heritage tomato and vegetable plant operation. Bruce and I have always loved to garden, so in our retirement we decided to share our flavourful veggies with everyone who wanted the taste of heritage vegetables and there true flavours. Products: Tomato Seedlings - varieties include: "Cossack pineapple", "Dinner Plate Drazuba," Galinas," "Paul Robeson," "Peking Panda". Also tomatoes, Brussel Sprouts, Romanesco, Broccoli and Basil. Kendal Hills Game Farm is situated on 70 acres of rolling woodland in the ecologically sensitive Oak Ridges Moraine. 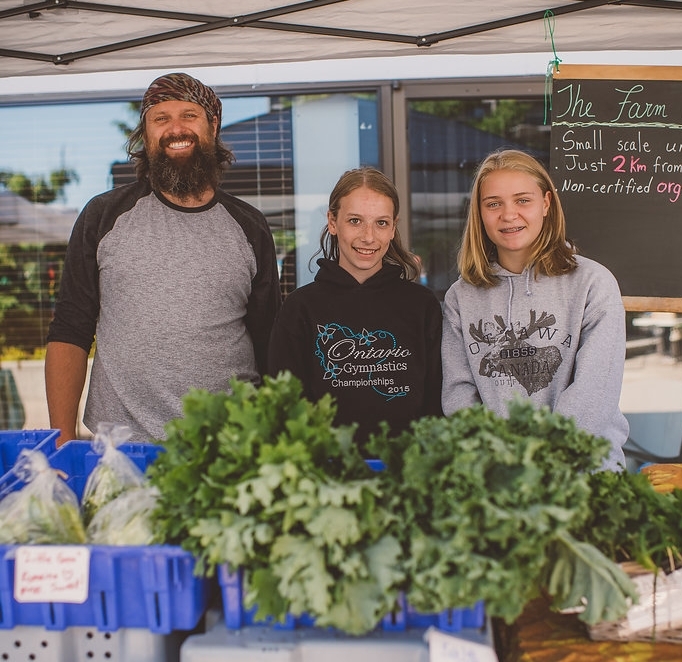 Emily has called Kendal Hills home since she was a child and now she and Dave, as well as their two kids and her parents, are working with the land to farm pasture-raised fowl & other livestock and to cultivate and wild-harvest gourmet mushrooms. Emily & Dave are committed to the principles of regenerative agriculture. The farm is 23 acres of this 13 acres is trees and a pond which is stream fed . The rest is about 6 to 7acres for growing fruit and vegetables . the soil type is sandy loam,no stones or rocks.The subsoil is 21 feet of sand so we need to irrigate most years . Our farm grows typical vegetables and fruit but still unique. Example banana Fingerling potatoes, orange tomatoes and very special sweet corn that is blue. Products: potatoes, beets, carrots, gourds, pumpkins, zucchini, squash, radishes, sweet corn, beans, dill, cucumbers, peppers, tomatoes, turnips, sunflowers, chums, white strawberries, corn stalks, straw bales, painted corn, asparagus, hot peppers, cherry tomatoes. McLean Berry Farm is a family run fruit and vegetable farm just outside of Buckhorn, Ontario. We grow a wide variety of fresh fruits and vegetables such as asparagus, strawberries, raspberries, blueberries, rhubarb, peas, beans, tomatoes, peppers, potatoes, sweet corn, squash, pumpkins, gourds, decorative corn, currants, gooseberries, fall raspberries, ever bearing strawberries and much more. We also produce a wide variety of homemade jams and preserves and make maple syrup each spring. Products: Asparagus, strawberries, raspberries, blueberries, rhubarb, peas, beans, tomatoes, peppers, potatoes, sweet corn, squash, pumpkins, gourds, decorative corn, currants, gooseberries, fall raspberries, ever bearing strawberries, blackberries, jams, maple syrup, preserves. We are a local family farm that grows organic fruit and grains. We specialize in haskaps. Products: Haskaps, strawberries, raspberries, Asian pears, black currants, jams and jellies. Located in the foothills of the Indian River, Nautilus Farm was founded with a strong vision of sustainability and stewardship of the earth. We strive to provide the highest quality, organically grown (currently non-certified) farm produce available to all at affordable prices. The market garden side of the business has become somewhat specialized in garlic production and now provides the community with a reliable source of premium seed garlic. The long term vision of the farm is to create a system of agroforestry where the natural forces that maintain forest systems are put to use growing food from fruit and nut trees. To that end, we have been planting out a great number of different perennial food producing trees and shrubs to determine which are the most suitable to our region and would be good candidates for larger scale diversified agroforesty. We are currently offering some of those perennials at the market for spring plantings. Products: Garlic, garlic scapes, seed garlic, cherry tomatoes, large tomatoes, aronia berries, sweet and hot peppers, radish, beets, carrots, kale, lettuce, spinach, squash, pumpkins, onions, tomatillos, beans, basil, eggplant, zucchini, cucumber, potatoes, rhubarb, and perhaps other 100% farm grown fruit and vegetables. I will also be selling fruit and nut producing perennials such as hazelnuts, aronia berries and others. Local grower of many vegetables, especially many varieties of potatoes. Lifelong farmers' market vendor. Rhyzosphere is a four person, vegetable and cut-flowers growing, forward thinking, fun having, permaculture focused, local, small-scale farm. We started our farm with the intention of regenerating both land and bodies with healthy food and loving growing practices. Product: Spicy salad mix, lettuce heads, spinach, squash (many varieties), parsnip, carrots, hearty greens, herbs, zucchini, onion, hot peppers, tomatoes, turnip, rutabaga, beets, radish, fennel, , cucumbers, ground cherries, kale, swiss chard, cabbage, beans, peas. cut flowers, some arrangements in our hand made pottery. We are a family-run farm with the goal of producing quality vegetables, meat and eggs for ourselves and our expanding customer base. We pride ourselves on following organic, self-sustaining practices. Our customers include several local restaurants as well as everyday people looking to eat locally-grown, top quality produce. We are constantly expanding the variety of vegetables we grow in order to meet the demands of our diverse customer needs. Our passion is food and we are excited to be able to grow and raise quality food products for ourselves and our customers! Products: Lettuce, spinach, kale, tomato, eggplant, cucumber, potato, radish, arugula, rhubarb, asparagus, herbs, turnip, squash, corn, carrot, onion, garlic, pickles, preserves, chutney, pumpkin, beans. 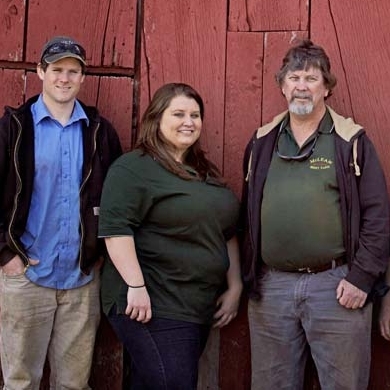 Small Spade Inc. is a certified organic, 6.5 acre family farm located in Stirling, Ontario. Our focus is on growing heirloom and rare varieties of salad and cooking greens, tomatoes and small root crops like beet, radish and turnip. We also grow baby ginger and turmeric in our passive solar hoop-houses. Our herd of Dwarf Nigerian Dairy goats and our flock of heritage breed laying hens provide us with compost for our market garden, and our soil is tested yearly and re-mineralized, resulting in very nutrient-dense produce with incredible flavour. Products: We grow baby ginger and baby turmeric in our passive solar greenhouses (available fresh in late summer & fall season, and frozen throughout year), and we produce hard to find european heirloom varieties of salad greens like mâche, agretti, minutina, beira tronchuda, specialty dandelion greens, endive, radicchio, chicory, persian cress and claytonia - as well as the standards like mesclun, edible flower salad mixes, mustards, romaines and arugula. We also grow small salad root crops like specialty japanese turnips, baby beets, small tender salad onions, green shallot, grey/french shallots, and specialty radishes. We will have early potatoes available this season, as well as colourful varieties with blue and pink flesh. Green garlic, garlic scapes and bulbs will also be available throughout season. The Back 40 is a small local producer of sustainable produce and cut flowers located in Pontypool. We are MyPick verified and have been inspected by Farmers' Markets Ontario. We welcome visitors to our farm anytime, and provide farm gate sales throughout most of the growing season. We also supply some local grocery stores with locally grown products during the growing season. Additionally, all of our excess produce makes its way to local food shelters through our donations to the Peterborough Foodshare system. Products: Cut flowers - peonies, dahlias, gladiolas, oriental lilies. Rhubarb, peas, snow peas, beets, carrots Summer (zucchini) and winter squash, pumpkins, Broccoli, cauliflower, cabbage and Brussel sprouts, Yellow and green beans, Tomatoes, cucumbers, sweet potatoes, sweet and hot peppers, Various lettuces - iceberg, leaf, bib and Boston, Sweet corn, Kale, Swiss Chard, Potatoes - approx. 30 varieties of classic and heritage potatoes. We are a family operated urban micro farm located a mere 2 km from the PRFM. We follow organic growing practices to grow a variety of fruit and vegetables. Products: Strawberries, lettuce, kale, green onions, zucchini, tomatoes, peppers, cucumbers, cilantro, basil, snap peas, pea shoots, beets, mixed greens, beans, sour cherries, asian pears and a little bit of asparagus. Since 1919, the Warners have been producing fruit and vegetables in Beamsville. We aim to offer tree ripened, full flavoured fruit, at the farm and markets we attend. Products: Apples, peaches, nectarines, pears, apricots, sweet cherries, sour cherries, plums, cider, grape juice, grapes, currants, gooseberries, blackberries, quince, nuts.